For more than 30 years, the Indianapolis Chapter of SIM has been the meeting place for CIOs, senior IT executives, academicians, and senior business execs who play key roles in the use of IT in their organizations. Indianapolis SIM offers a collaborative exploration of best practices, trends and lessons learned for those who shape and influence the management and use of information technology. 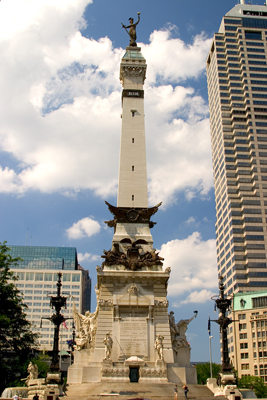 The Indianapolis SIM chapter is the local chapter representing Central Indiana and is affiliated through the national Society for Information Management. SIM is the premier network for IT leaders and is comprised of a community of thought leaders who share experiences and rich intellectual capital. SIM’s mission is to support IT leaders through: increasing the knowledge base of SIM members and associates, acting as the voice of the IT community on critical issues, giving back to local communities, and developing the next generation of effective IT leaders. Mr. Vito Laudicina, Cummins Engine Co.